Branching staircases floating in space. Each staircase leads to an opening to a golden area. This area is only visible within the openings. 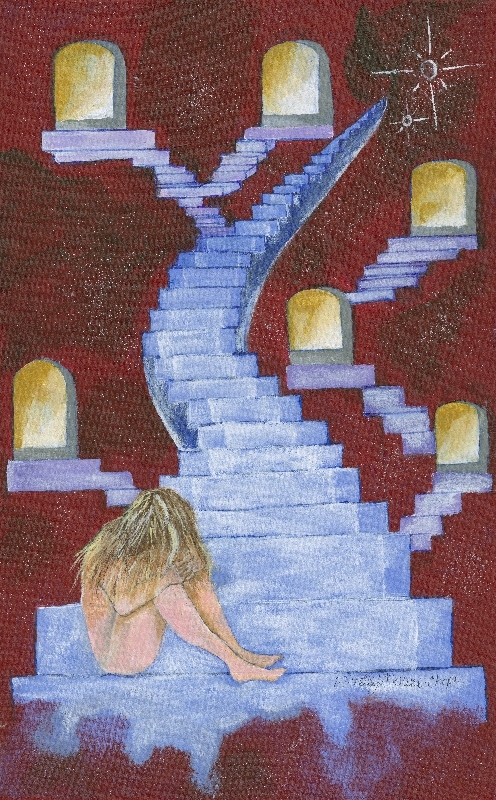 At the bottom of the main staircase, a naked woman sits with her head on her knees, her face hidden by long blonde hair. The stairs are symbolic representing barriers in mobility. The windows or doorways reflect hope. The woman with her head down shows how frustrating it is for people with disabilities and how overwhelming it can be at times.